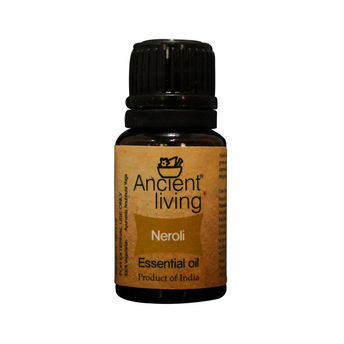 Neroli has a deep sensuous aroma which promotes joy and peace in times of depression. It quiets the heart and soul bringing tranquility. Neroli oil not only smells exquisite, but can also relax and calm the nervous system, the digestive tract. It is used to help with anxiety, panic attacks, fear, stress and depression. It is also helpful for people with insomnia and chronic headaches. It has a greatly relaxing effect on the body and mind, relieving muscle spasms, calming heart palpitations, neuralgia, vertigo and has a wonderful rejuvenating and regenerative effect on the skin, helping to prevent ugly scarring and fighting stretch marks. Drives away sadness, invokes a feeling of joy and happiness while uplifting your overall mood. It has also been known to invoke romantic and sexual feelings. Helps to preserve moisture and has a smoothing effect on the skin.